If you feel like any of the content here is infringing on yr copy and or birthrights, please let me know before you flag it, I can remove the link. However, please understand that all shared content here is mp3 recordings of well used 45s, and in no way outshine an original/authorized mp3 version of the song. All mixes are cut into individual tracks that have id3 tags. You just download the .zip file and drag the tracks into iTunes and they will play as a mix or separately. 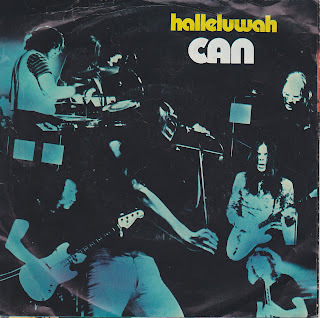 This Can single I have been hoisting high above my head since I found it at the Platten Pedro record store in Berlin (prices are high, but plenty o' raritease). Not much needs to be said here about "Halleluwah" except that once again any Can purists will be disappointed by the truncation of the edit (not to mention the mix), but goddamnit! The fact that this exists makes me happy to be alive! "Turtles Have Short Legs", a non-album track is also quite amazing, though I agree it would stick out on Tago Mago. Here is a good review from Head Heritage. 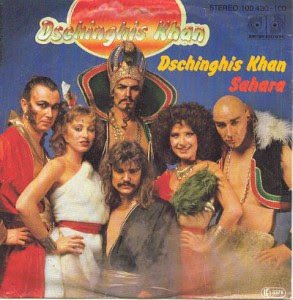 Can- "Turtles Have Short Legs"
Then, well there is Dschinghis Khan. Could have said it better myself. Their song "Moskau" was even an international hit, but believe me neither song hits no matter how ironically themed the night is. Better play it for disapproving friends while dancing wildly in yr living room late one night after the bars close. Bounty! And by bounty I am in a very vague way talking about a young child's dream of becoming something of a brilliant star. A star so bright that it blinds most, and gives others intense headaches. Featured here is my very first 7" single, originally given to me by Little A during lunch in high school. It was subsequently stolen and sold, and though I have looked diligently in the D section of every hip record store I encounter, alas, I could only find it on ebay. This then sparked a stream of seamingly unnecessary compulsive shopping on and off line, whereby I could acquire fancier (like this bizarre french Fela edit--I know some records should not be put onto single, but you can't blame me for coveting them, right?) and more "post punky" shuck an groove records to sparkle away the hours of DJ-dom. I never knew it was so easy. I dreamed of a world where I could own Nervous Norvus' "The Fang", and now that it's here next to me as I write this endless tome of an introduction, I would like to give thanks and praises to the record gods who have been shining on little ol' me as of late. I am an all 45rpm/7" vinyl DJ serving the greater Berlin area. This blog showcases some of my favorite singles that I play regularly. 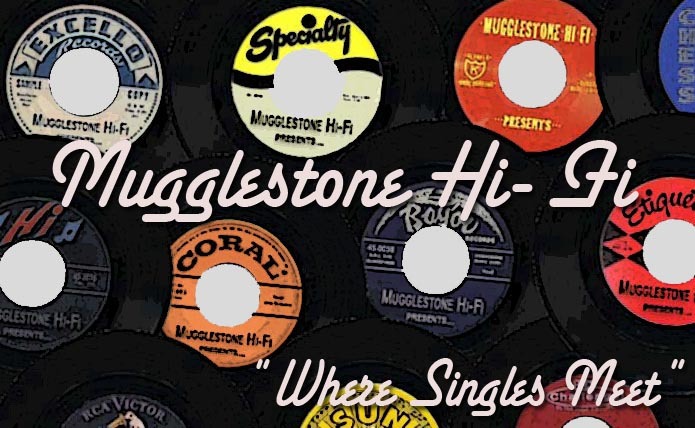 For DJ bookings contact mugglestone at gmail dot com. I will do most any event, from gay weddings to hipster limbo contests. Berlin's premiere all-7" DJ is back again with an all new collection of all old songs for lovers, for players, for heavy drinkers, for swingers, for headbangers, for babies and baby mamas, for the syrupy sweet and the eternally filthy, for the first laugh until the end of the road, for the guilty pleasures and the furtive handshake, but most of all, for you: music snobs and party girls of Berlin. I won't ask to sleep on yr couch (but that bed looks mighty comfortable ;). long blog list !! ! !